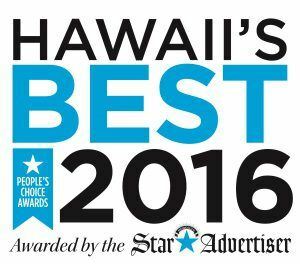 As a kama‘aina company serving the health and wellness needs of Hawaii for decades, HMAA is truly passionate about your health. 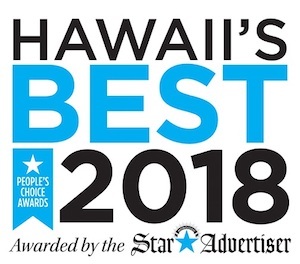 Our customers and affiliates take comfort in knowing they are working with a local health insurer that truly understands our local business environment and appreciates Hawaii’s unique culture, values and traditions. Our founder, Arnold Baptiste, Sr., a Kauai native, believed in contributing to his community in his private, public and professional life. As an advocate for small business, he formed HMAA in 1989 to provide health insurance alternatives for Hawaii businesses. Prominent businessman Fred Trotter served as a board member from 2006 to 2011. Drawing upon his many years of experience in management and as a trustee and director at some of Hawaii’s leading organizations, Mr. Trotter provided strong guidance and leadership during his tenure. Today, we are one of the largest health insurers in the state and continue to provide exceptional benefits, one-on-one personalized service, flexibility and choices for Hawaii’s businesses. In addition to our Preferred Provider Health Plans, we also offer customized cutting-edge wellness programs and value-added services for employers and members. John Henry Felix was named to the HMAA Board of Directors and elected Chairman and CEO in 2006. He has had a distinguished career in business, government, labor-management relations, community service, diplomacy and education spanning more than five decades. John Henry’s experience and leadership has allowed our company to thrive as it enters its third decade by focusing on superior client service, communication and excellence. HMAA is committed to providing Hawaii’s businesses and their employees and families with quality, affordable health insurance benefits for traditional and alternative medical services. HMAA commits itself to excellence in service; loyalty to its members and their families; and pride in providing quality and affordable health insurance benefits. 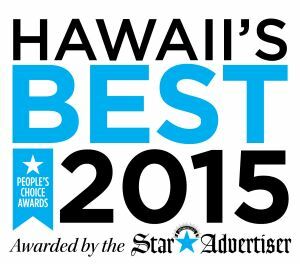 As a local company that has served Hawaii’s businesses for decades, HMAA has always seen the value in a healthy, vibrant workplace for both employees and their employers. We strive to help employers create healthy workplaces and to help employees and their family members take better care of their health. Healthy, happy employees make healthy, happy – and successful – businesses. Beyond being your partners in health, we are proud to share our network of businesses, health, wellness and safety-related organizations with each of our members through initiatives like the Member Plus Discount Program. We are excited about the future and look forward to helping our members get healthy and stay healthy. After all, at HMAA, we are passionate about your health! John Henry Felix was named to the Board of Directors and elected Chairman and CEO in 2006. He has had a distinguished career in business, government, labor-management relations, community service, diplomacy and education spanning over five decades. Dr. Felix served as Chief of Staff to the first Governor of the State of Hawaii. President Reagan appointed him U.S. Representative to the South Pacific Commission. He has chaired more than a dozen state and county boards and commissions and served for 16 years on the Honolulu City Council. A Menlo College alumnus (’49), he holds two Oxford M.A. degrees (Harris Manchester College). At Oxford, he is Fellow, Vice President, and a member of Congregation and the Chancellor’s Court, is a retired business faculty member, and is a Life Member of the Oxford Union. An Eagle Scout, he has headed the Salk Institute for Biological Studies, Red Cross (internationally, nationally and locally), Boy Scouts’ Aloha Council, March of Dimes (nationally and locally), Consular Corps of Hawaii, Hawaii Public Radio (founder), Young Presidents Organization, Civil Air Patrol (Hawaii Wing Commander), Junior Achievement, and Academy of the Pacific; he is currently Chair-CEO of Abilities Unlimited. He is the Honorary Consul of Portugal and Honorary Vice Consul of Spain and has served as Chair of the Plaza Club. Dr. Felix holds a doctorate in Public Policy and Administration and has written six books and numerous articles on governance and volunteer development. He has received numerous awards locally, nationally, and internationally. Gail Mukaihata Hannemann served 15 years in our nation’s capital as a professional staff member of a U.S. House of Representatives legislative committee. She was also Chief Executive Officer for the Girl Scouts of Hawaii, Vice President of Corporate Development at SMS Inc., and Project Director of the American Samoa Economic Advisory Commission established by the U.S. Secretary of the Interior. Active in our community, Ms. Mukaihata Hannemann has served on various boards and alliances including the Hawaii Arts Alliance, the Children’s Alliance of Hawaii, and the Hawaii Alliance of Non-Profit Organizations. Dennis Y.C. Kwan is a Certified Public Accountant with more than 30 years of experience in strategic financial planning, analytics, expense containment through process redesign, and risk management. His technical and business qualifications include the proven ability to analyze an organization’s critical business processes, identify deficiencies and potential opportunities, and develop innovative and cost-effective solutions for enhancing competitiveness and increasing revenues. Warren Price has more than 30 years of experience in Hawaii’s legal community and has served as Attorney General for the State of Hawaii under Governor John Waihee in the late 1980s and early 1990s. Mr. Price is an AV Peer Review Rated Attorney, the highest designation awarded by the Martindale-Hubbell Service, and is experienced in all aspects of State and Federal Court litigation. Mr. Price is currently the senior partner of the law firm Price Okamoto Himeno & Lum. Bill McCorriston is senior partner of Honolulu’s fifth-largest law firm, McCorriston Miller Mukai MacKinnon LLP. He is recognized by peer rating agencies such as Chambers USA, Martindale-Hubbell, Best Lawyers of America, Best Lawyers of Hawaii, and Corporate Counsel’s Top Lawyers as one of the predominant litigators in Hawaii. He is a fifth-generation member of a local family. Mr. McCorriston has served as President of the Hawaii State Bar Association, Chairman of the Honolulu Charter Commission and on various non-profit boards. 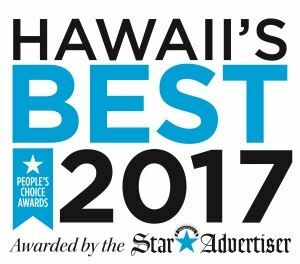 We are honored to be recognized in the Honolulu Star-Advertiser’s 2018, 2017, 2016, and 2015 Hawaii’s Best Awards!